No. 3 Virginia plays host to Syracuse on Tuesday night, while Boston College travels to No. 20 North Carolina. Four games are set for Wednesday with No. 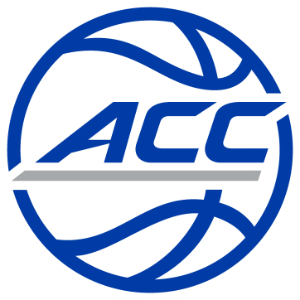 7 Duke at Pitt, Louisville at No. 23 Florida State, No. 25 Notre Dame at Georgia Tech, and Virginia Tech at Wake Forest. Thursday finds No. 19 Clemson at NC State. Sunday’s only conference action sees Miami remain unbeaten at home this season with an 80-74 win over visiting No. 24 Florida State. Sophomore Bruce Brown Jr. led the Hurricanes attack with a season-high 23 points, and classmate Dewan Huell adds 20. NC State’s upset of No. 2 Duke in Raleigh highlighted the weekend action. The win marks the first time in school history that the Wolfpack has defeated two opponents ranked No. 2 or higher in the same regular season (also then-No. 2 Arizona on Nov. 22). No. 3 Virginia, No. 19 Clemson, Boston College, Notre Dame and Virginia Tech also won league games Saturday, while Georgia Tech picked up a non-conference win over visiting Yale. Virginia has held 12 opponents to under 43 percent shooting and all 15 opponents to under 50 percent. Clemson has won 10 straight games, and the Tigers’ 14-1 start is the program’s best since the 2008-09 team opened 16-0. 1 – Duke freshman Marvin Bagley III leads the ACC in scoring (22.5), rebounds (11.5) and double-doubles (12), and ranks second in field goal percentage (.641). 1 – Boston College’s Jerome Robinson has scored 24 or more points in each of his four ACC games and is averaging a league-best 26.5 points per game against conference foes. 2 – Over his last two games, Virginia’s Devon Hall is averaging 14.0 points, 5.5 assists and 4.5 rebounds … on the season, Hall has made 24-of-52 (.462) from 3-point range. 3 – In three conference games, Pitt freshman Parker Stewart is averaging 12.0 points and 3.7 rebounds and has made 9-of-16 (.563) from 3-point range. 14 – Wake Forest’s Mitchell Wilbekin has made at least one 3-point field goal in 14 straight games and has made 28 of his last 55 (.509) 3-point field goal attempts. 15 – Oshae Brissett has scored in double figures in 15 of Syracuse’s 16 games and ranks second among ACC freshmen in scoring (15.2) and rebounds (9.8). 20.6 – Over his last six games, North Carolina’s Joel Berry II is averaging 20.7 points and 4.7 rebounds … Berry currently ranks fifth in the ACC in both scoring (17.9) and free throw percentage (.883). 221 – Georgia Tech’s Ben Lammers leads all active ACC players and ranks 24th among ACC career blocked shot leaders with 221 rejections.